Thanks for this post. I grew up in these parts and thought I knew a fair bit about the St. George area’s cinemas. This is certainly one I’d never heard of. Since my last post I’ve pondered the Theatre’s name. The name “Radio Theatre” almost pre-empts its early demise. By the time TV started to decimate the suburban cinemas, they’d already done the same thing to the wireless. Also, I posit that there are at least 6 remaining theatres in the Kogarah/Hurstville area when you also count Nash’s Penshurst Theatre and the still operational Beverly Hills cinema. I went to the Radio in Oatley many times as a child and also to the Paramount in Railway Parade Mortdale. The ‘Radio’ was bought by a chap named Doyle long before Oatley RSL became the owners. He renamed it the Mecca and went on to develop the Mecca in the then former majestic Savoy at Hurstville and even later the Mecca in Kogarah which although now not operating still stands with the Mecca livery. Mortdale Paramount was my favourite .. renamed Mortdale Hoyts in its later years. It had a theatre organ which played at interval on Saturday evenings. I watched its demolition in the early 60’s (possibly 1963 or 1964) and was devastated. Several years ago I spoke to the relatives of the owners of the Paramount at Mortdale and it’s sister at South Hurstville. From my memory and a few low angle photos they provided I rendered a graphic which resembles how it looked in Railway Pde Mortdale … just down from Mortdale Public School. Additional to my last post. I mentioned that the Mecca Cinema in Kogarah (former Victory from the 1920’s) is still standing in it’s full livery. I was unaware at the time of writing that developers applied early 2012 to construct a large retail and residential high-rise on the site and that the Mecca was demolished in February 2013. I knew that there’d been a development application for the Kogarah Mecca however was unaware that it had been demolished. I’m greatly saddened by this news. Does anyone remember the cat that lived at the cinema and wandered around whilst films were showing? Unfortunately the whole Mecca story has been somewhat tarnished by the sins of Phil Doyle. He was an acquaintance of my uncle and I recall once speaking to him outside of the Hurstville Mecca after my cousins and I had seen a double feature. Even as a youngster Doyle seemed creepy. I used to go to the Oatley theatre in the 60’s and worked at the Mecca Savoy Hurstville in the 70’s. 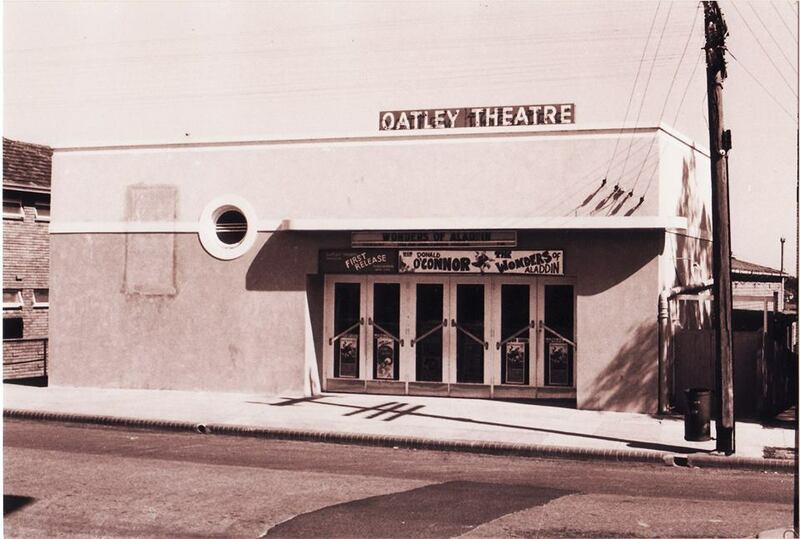 Actually Phil Doyle leased the Oatley theatre off the RSL during the 60’s, he never owned it. He worked as a projectionist at Hoyts during the day and run the Oatley Cinema at night. He briefly renamed it the Mecca before the RSL took back possession to to use themselves. From there he went on to buy Kogarah and then Hurstville cinemas. Sorry, I didn’t realise Phil Doyle was leasing the Radio from the RSL at the time. Presumed he had the freehold. Makes sense though. When we used to go there in our later teens the word around was that he was the owner. My Grandparents Ken and Thelma Fidden built the Oatley Theatre, unfortunately they and their 2 children Ken and Geraldine (my mother) have passed away. 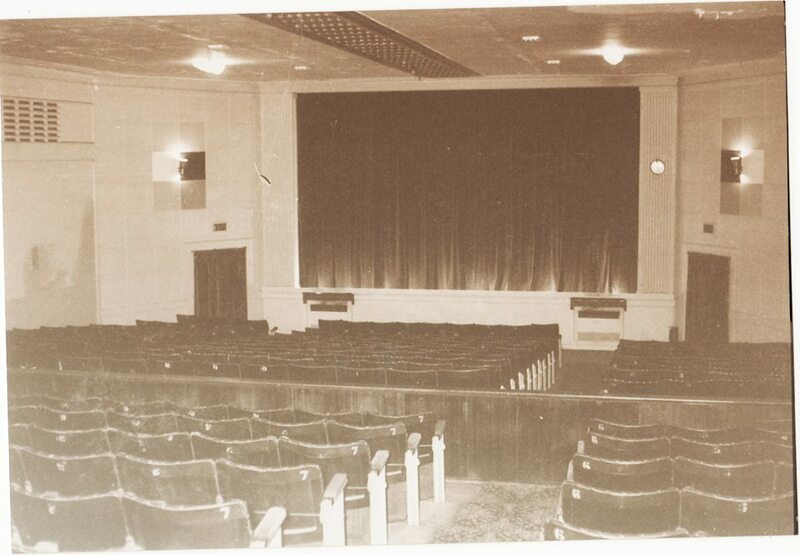 My father, who still lives in Oatley, tells me that my grandparents the Fiddens sold the theatre around 1953/54. He doesn’t believe they sold it to the RSL and the name Doyle didn’t ring any bells. Sorry I don’t have any other details other than I grew up in Oatley and as a young boy learnt to Box with a man by the name of Williamson and also did a bit of Judo in the current RSL building. I still visit my Dad in Oatley regularly and get a bit of a kick out of seeing the old theatre knowing that my grandparents built it and that my mother and uncle worked there and my mother and father met there. 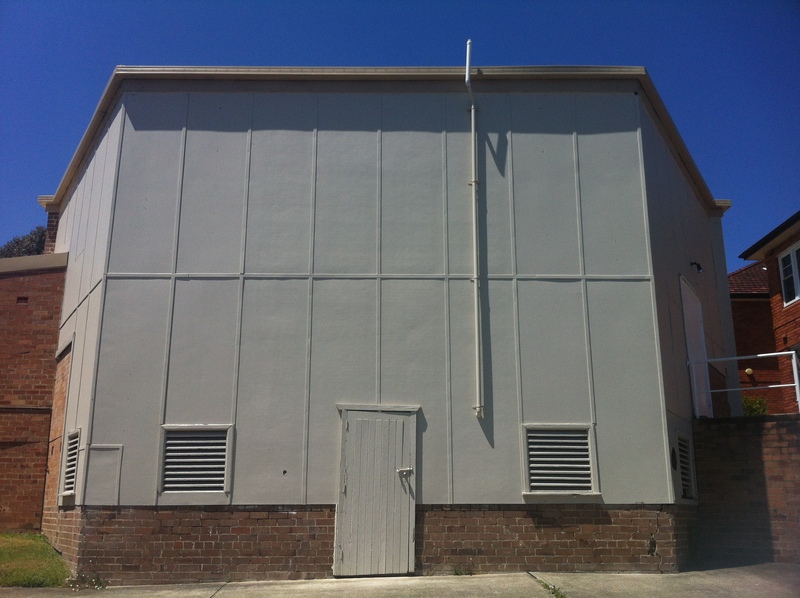 Yes indeed, Ken Fidden did build the Radio Theatre in Oatley. I was told that he was the Representative in Australia for RKO Studios. My parents moved to Oatley in 1939 when I was 2 yrs, old. I recall going to the Saturday Matinee shows and can still see Ken jnr. and his sister clearly in my mind. Ken Jnr. was a big lad. The plans for the Theatre made provision for a flat to be built over the foyer. As I recall, Fiddens sold the Theatre to a couple from W.A. but I can’t remember how long they had it in their possession. 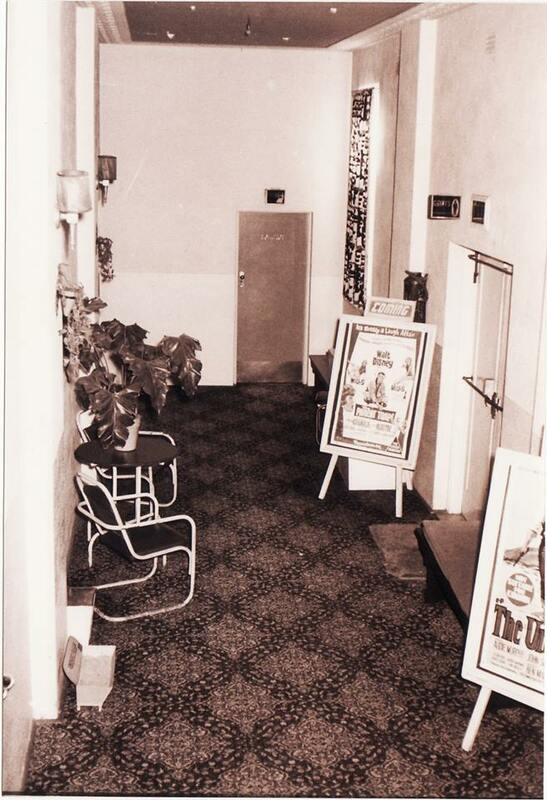 The Theatre was subsequently purchased by Jack and Rita Waters in 1958 or 1959. They were definitely the owners when it was sold to the RSL Club. Doyle did not own it at any stage.Some of the people who worked at the Theatre were…… long time resident, now deceased, George Kendall, Mrs. Jack Marks, Mrs. Mollett, Tony Curtis, John Sorrell and myself. It ran C & W projector heads and Hamilton Baker arcs all of which were sold to Phil Doyle. Jack told me that Doyle never finished paying for the equipment. It was equipped for Cinemascope. It could seat 466 patrons. Like Lawrie I too frequented the Mortdale Theatre (walking across Judd’s Paddock) but I do not recollect there being an Organ in the Theatre. There was, however, a Wurlitzer Theatre Organ in the Hurstville Savoy. How do i know about the Oatley Theatre?. I married one of Jack and Rita’s daughters in 1963. Your information rings a bell re the Fidden name. I knew two brothers in Oatley named Brown (lived in Herbert Street) in the late 50’s. 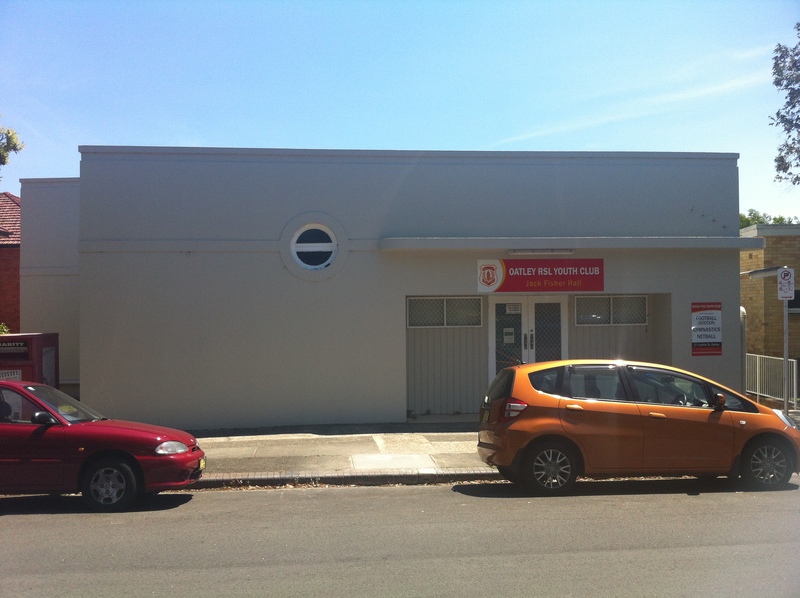 I also did ‘Jiu Jitsu’ in the RSL Hall in the 60’s next to the old Radio Cinema. Seeing the old theatre still there always gives me a memory charge. I did physical culture and gymnastic hete. My mum was president of the youth club in the 80’s. I remember old green chairs stored upstairs in what I presume was the projection room. Those green chairs were always pulled out for the Soccer Club registrations each year. Our boys were in the club from very early ages to late teens and in the case of one, early 20’s. I lived in Mortdale from about 1957 – 1967 and remember going often to the Mortdale, Penshurst, Hurstville and Oatley theatres. Regarding the Oatley I remember seeing at least one of the Godzilla films there as well as Laurence Olivier’s Hamlet. I remember in its last days the owner/operator telling people that next week’s attraction would be A Taste of Honey – not one for the kiddies (I’m sure he used that term) they wouldn’t understand it. There would have been about 20 or 30 people in the theatre at the time. He was obviously trying to drum up business. Wikipedia gives A Taste of Honey as released in 1961. Hope that helps put some dates to it. Thank you so much for the photographs. David, see my reply March 2, 2014. Phil Doyle at no time owned the Theatre. I believe that he is presently a guest of Her Majesty. My in-laws sold the Theatre to the RSL. We wanted my father-in law to convert it into a wedding reception venue but he lacked the vision to do so. I know it raised some eyebrows when it was built in the War years when materials were in short supply. Aaron Bolot was my great grandfathers Professor John Bolot (French Dance Academy of Oxford street Sydney) nephew. They changed the surname Bolotinski to Bolot. The Oatley Bay Bus service was owned by a chap by the name of Lawler. The bus was an INTERNATIONAL and he used to run a service to and from the OatleyTheatre on a Friday and Saturday evening. There was also a Gungah Bay bus (an old canvas roofed REO) which was owned by a chap by the name of Kincaid. I remember an Oatley identity (no names, no pack drill) who would drive his wife to the Theatre, drop her off, enquire as to the time that the show would end and then pick her up. We used to get a good laugh as, 5 minutes after the show started, his wife would come out of the Theatre and be picked up by the boyfriend to then return about 15 mins. before the show finished and so home to hubby. This was in the ’60s. when my late father-in-law owned the Theatre. Anyone out there remember these buses? Hi Susan, any relation to the Roberts who lived in Oatley Ave?. We moved to Oatley in 1939 … I was 2yrs. old. II remember the Gungah Bay bus .. often caught it home. My recollection that in the 50’s it was owned by Kincaid. It was pretty old and I think it was a Reo. If you went to Oatley Public you might be iterested to know that a 100 yr. celebration is on the agenda this year. Thanks Susan for your reply. I was born in 1937 so I am a bit older than you. We lived in Oatley Parade at the foot of Neville St. Yes, I remember Helen Campbell; her brother ,Bill, is married to Nola Cox, an old friend of my younger sister, Lesley. I thought the old bus was a Reo. If you want to contact me direct my email is jigsaw8@bigpond.com. Again, lovely to talk to a contemporary Oatleyite.